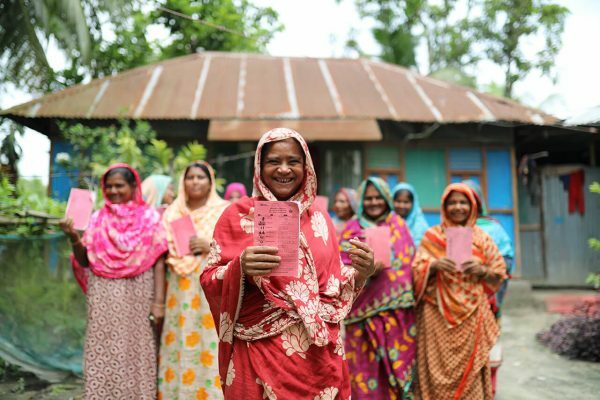 How are we progressing on financial inclusion in Bangladesh? Are we successfully bringing financial services to women? We came away with five key insights that can frame efforts to advance financial inclusion in the increasingly digital environment. Right now there are multiple cashless payment options locally and globally. However, a recent Global Cash Index found that over 85 per cent of commercial transactions worldwide are still done the old-fashioned way. In many situations, cash feels simpler, more convenient, and even more secure. This causes good reasons that many people still prefer cash for the majority of transactions. We need to be better at identifying pain points related to cash. For example, sending money home from cities to family member in the village has been a key area where mobile financial services is proving more convenient and cheaper. What are the other problems that could be solved through digital financial services? If we don’t know, we need to find out. It is evident that mobile financial services can transform financial inclusion but it’s not the only new innovation in the game. We are also seeing increasing interest in other strategies such as agent banking and postal card services, both of which could offer potential benefits to unbanked populations. 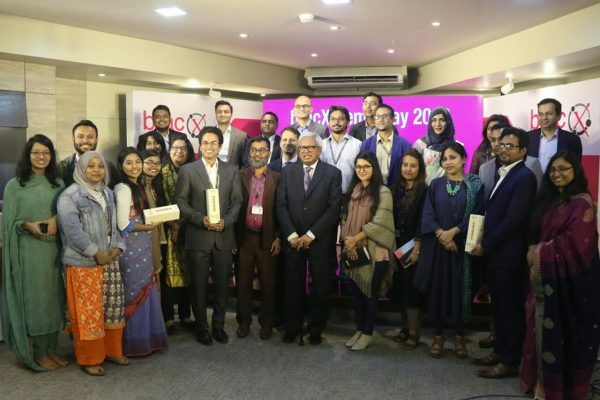 As the Bangladesh government launched theDigital Bangladesh by 2021 initiative, the digital market has rapidly changed in a very short amount of time. Access to Information (a2i) has been directly involved in supporting the introduction of district e-services centres, e-Purjee System for sugarcane farmers and enabling multimedia classrooms in Bangladesh. 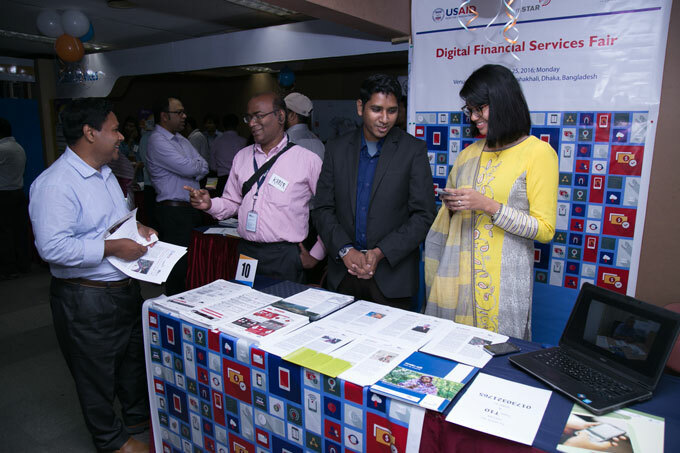 Along with the event, a fair on digital financial services created a buzz among the participants. These initiatives nudge society to experience the benefits of using technology. As people gain access to more valuable services through their phone, they will become more familiar with using it and more willing to invest time in mastering the technology. It can also expedite transition to smart phones and internet connectivity. This is good news for providers of digital financial services, and a reminder that we should support larger digitisation efforts. 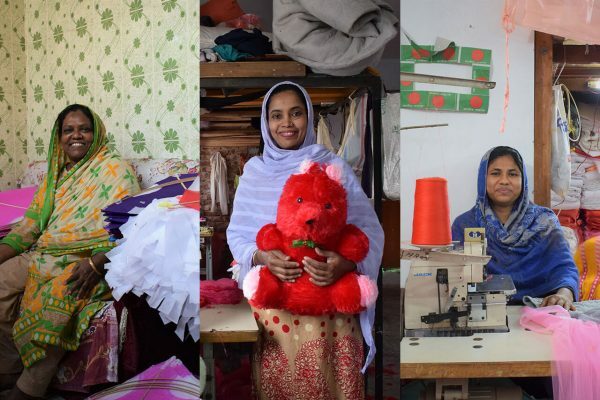 Historically, microfinance has focused on women and aimed to give them greater access and agency financially. However, the gender gap is still persistent in financial inclusion and in developing economies. And the fear of technology especially in women can make it worse. Often we see that mainstream efforts motivate adoption among men, but fail to reach or persuade women. From a financial inclusion standpoint, this means we need to focus more intensively on finding strategies to help women access and benefit from financial innovations. BRAC is supporting rural women to digitise their microfinance transactions by using mobile money. As Shameran Abed, Director, BRAC microfinance programme, pointed out, “By helping women overcome the initial pain-points of using mobile money, they can reduce their dependency on others to access their cash, make payments quickly and conveniently, and have greater overall agency in their financial lives.” In other projects as well, we’ve seen that there are powerful side effects when women master mobile money. To promote both quality and diversity in digital finance products, and in turn facilitate financial inclusion, we need to deeply understand the financial lives of the poor. Several providers admitted that they spend little time with marginalised populations and in some cases lacked the technical expertise to analyse transaction data carefully. Whether through in-house product development teams or external research efforts, client insights are critical for serving the poor effectively. The switch from cash to mobile money is a huge leap for most people. Providers of financial and social services have significant potential to make this shift easier and more beneficial. While there are many successes in Bangladesh to point to, there are also areas where we can do much better. We were inspired by the discussions with other leaders working on these issues, and the energy and excitement many have for finding better solutions. At BRAC, we are increasingly focused on the challenge of helping rural women benefit from mobile money. We are digitising honorariums to extension workers, creating new registration points at our branch offices, and investing in financial education. Grace P Sengupta is an assistant manager with the BRAC’s social innovation lab. Maria A May is a senior programme manager with the BRAC’s social innovation lab, and microfinance programme.